It’s a fine day for a picnic, and all the members of the alphabet are invited! 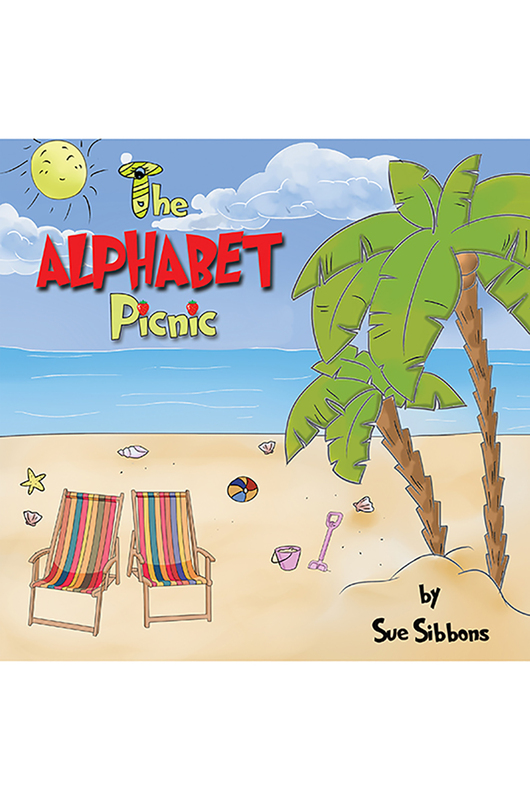 One by one and rhyme by rhyme, the letters appear on the beach, ready for a spot of lunch.Sue Sibbons’s bright and charming illustrations leap off the page and also serve as a brilliant guide for young readers.The Alphabet Picnic is the most fun any child will have learning the alphabet. Sue Sibbons was born in Kent, England and now lives in Sydney, Australia with her husband David. Sue is currently working as a professional nanny, which has included a number of high profile clients over the past 18 years. She loves looking after children and is very passionate about early childhood education, which inspired her to create her first children’s book. What a great little book. My young son really loves the colourful pictures of all the alphabet characters. It’s the ideal gift for any young child learning the alphabet. – Anna K.
My Niece’s and Nephew’s love it, it’s great for learning. I work in a long day care centre, we love using this book as a tool to teach the children all about the alphabet. The children love reading this book. Its colourful, educational and fun! My kids love this book, its so much fun! A lovely, bright and enjoyable book to read. My 3 year old’s favourite book at the moment! I work in a primary school , the children loved the bright cheerful pictures , such a simple but effective way of teaching the alphabet. The children remained focused throughout the book. A great find would highly recommend it . My daughter loves this book. It’s beautifully illustrated and educational. I have bought this book for my young relatives for Christmas. I my opinion it is the perfect gift. A fun and educational book. My young son loved it. A must for any young child to assist with learning. A great first book for young kids learning the alphabet. My daughter really enjoys looking at this book. It’s a great guide for little ones learning the alphabet. What a lovely book ! Beautifully illustrated. This book is perfect for children to learn the alphabet.